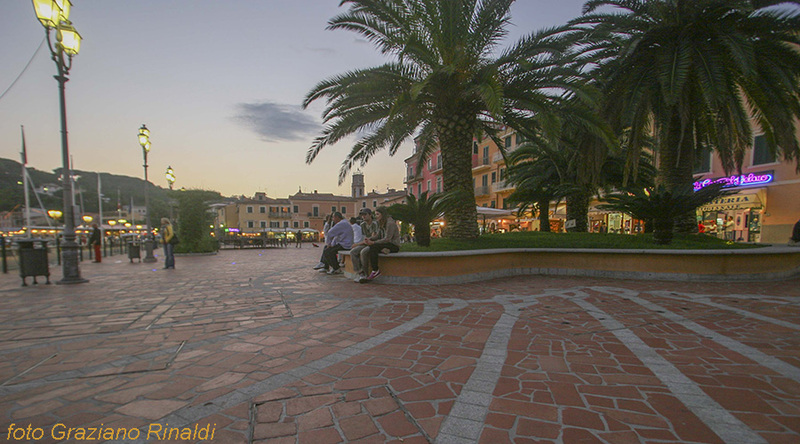 In this post you won’t find grand descriptions of the lovely square right on the sea in ​​Porto Azzurro, or even tips on restaurants, pubs, the beaches or other experiences that you could have. The purpose of this post is to enhance the pleasure you will get from experiencing what I have just mentioned. To give just an idea of ​​what lays behind the things and places that you are admiring, tasting and experiencing during a visit to this charming village of the third Italian island which until 1947 was called Portolongone. On an island that was playing all it’s cards on the tourist industry it wasn’t a good idea to link the name to one of the toughest prisons in the peninsula. So instead of “Longone” the adjective “blue”, was used , which was rather more mundane, but for tourism, very effective. 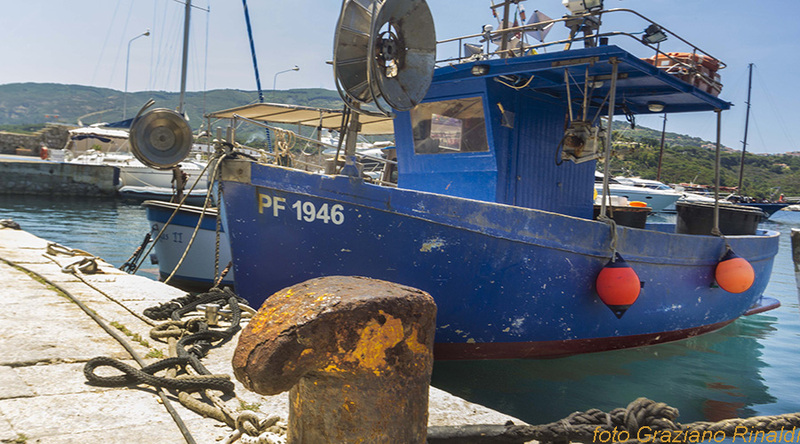 Longone probably comes from the Greek “Longònos”, meaning a stone where ships tie up. Certainly, in ancient times this gulf has always been popular with sailors, being sheltered from all winds except the east / north-east, it is in fact one of the safest anchorages on the island. In itself this is an excellent natural feature, but for those who have lived in these parts it has also meant a lot of misfortunes. Lets forget about the classic age and instead start off from an important well documented historical event: November 17 1376, after 73 years of papal seat in Avignon, France, Pope Gregory XI was finally returning to Rome to reside in his former house. In the month of November, then as now, however, it was easy to run into some windy storms and what happened was that our Gregorio and his entourage decided to take refuge right in the Gulf of Mola. Mola is the bay on which Porto Azzurro is situated, a kilometre beyond this, you enter the territory of Capoliveri, and that’s where the papal entourage landed. Mola comes from the Latin “moles” (port), so even the Romans knew this place as a safe haven. The interesting thing is that the pope landed on the coastline where today, the Gulf of Mola finishes. Clearly what today is a fertile plain that ends in the sea with a coastal wetland, was still the sea seven hundred years ago. We don’t know where the town of Longone, a few centuries later began, and I’ll explain why in a few words. As the gulf was so well protected pirates have always used this as a point of departure for their raids which have always plagued the Mediterranean. Next to the current fortress there is a beach called Barbarossa, named in “honour” of the most organized among the pirates in XVI century to sail the Mediterranean, but to call him merely a pirate is unrealistic, as he was actually the Admiral in Chief of the Ottoman fleet. So who wanted to go and live near him in the lion’s den? Longone / Porto Azzurro will enter the history of Europe towards the end of 1500, tying its very existence to a war which in those years which became very heated. But let us return to the Middle Ages. In the end, if you pay, you can agree. Around the year 1000 the island of Elba was a “colony” of Pisa. Everyone remembers the four maritime republics, certainly you will also remember how unfriendly they were to each other. Pisa and Genoa were too close and because they were rivals, both had to fight over Elba Island which was a sort of aircraft carrier placed between Corsica and Tuscany. At that time in 1284, in front of Livorno there lay a part of the Pisan fleet, which spent time enslaving a lot of adult males and other “amenities” of this kind. However it would be the Doge in person, Simon Boccanegra who would crush the last resistance in the fortress of Marciana (the one high in the hills, not the current Marciana Marina, which at that time was non-existent) and as a result enslaved the island. The Pisan faction didn’t intend to loose Elba, so decided to attack the Genoese, but where could they land? Since it is always a question of money, in short I will just say that Genoa had no difficulty in recovering militarily dominance for the second time on the island. But in the end, as Pisa and Genoa more proud warriors than they were traders, they agreed soon enough: the Pisans reclaimed the island paying 56,000 gold florins. Not even a century passed by (1392) and in Pisa, there was a coup. Elba passed over to the Appiani dynasty, whose boss was Jacopo the conspirator who was succeeded by a son who sold Pisa to the Milanese, Gian Galeazzo Visconti, Duke of Milan, for 200,000 gold florins, leaving for itself just Piombino , Elba, Montecristo and Pianosa. This was to say that Elba, directly after Pisa, changed hands within a couple of centuries into the principality of Piombino, along with two islands that still belong administratively to two town councils of Elba, Montecristo and Pianosa in Portoferraio in Campo nell’Elba. Going back Longone, all remained quiet until the mid-sixteenth century. Modern European states developed in this period and it was also the time when the two superpowers of the time, the French King Francis 1 of Valois and Charles V of Spain and Emperor of the Holy Roman Empire. collided heavily on land and the sea.. They were involved not only in European territories, but also in the new colonies of the “West Indies”. 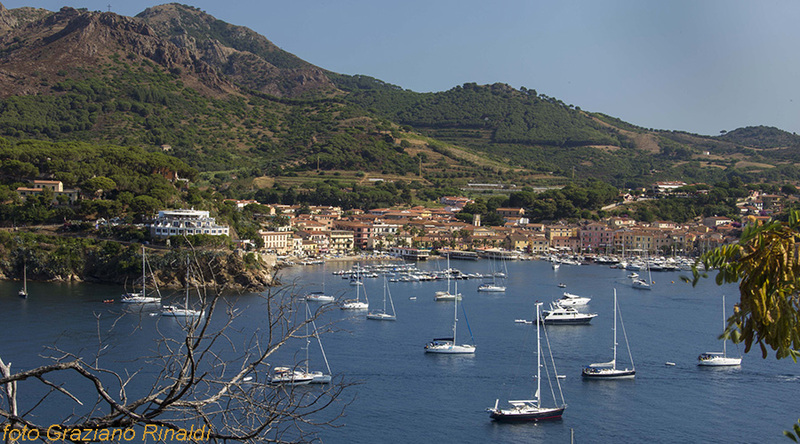 What relevance could Elba and Longone have in this magnificent setting? War costs, and then as now, in order to finance it, they had to go to the bankers. In 1546, Cosimo I de ‘Medici loaned 200,000 ducats to Charles V.
In case it wasn’t returned, it was agreed that the principality of Piombino, including Elba, would be given to Duke of Florence, but what would happen to the tiny and penniless principality of Piombino and penniless principality? Of this nothing was established. The money was never returned. But the Appiani, although not rich, had good connections to the imperial court. It took eleven years (in the meantime a lot of important things happened in what we now call Europe), until the successor of Charles V, Philip II, in London drew up a separate agreement with Cosimo I de ‘Medici with James VI Appiani, where the political geography of Tuscany was redrawn. What interests us here is that the Florentines were finally awarded the walled city of Cosmopolis (now Portoferraio) with a surrounding area of ​​two miles, and the Appiani remained in possession of the rest of the island and of Piombino. You do not think that the Duke of Florence would have given up without compensation, but that’s another story. With this agreement of 3 July 1557, the idea of ​​Portolongone was born. Spaniards “seemed” to have to fortified Elba at the end of 1500 and there was no doubt about where they would establish this port. The court of Castile had always needed, but had never loved the Duke of Florence. When Cosimo’s successor, Ferdinand I, seemed set on a decidedly French political view (especially as The Queen of France, Catherine de ‘Medic’s niece, Christina of Lorraine, was married to Ferdinand I himself) and so the danger was, that the “aircraft carrier Elba” could be made available to France or some other hostile power, abandoned without notice to the Spanish Government. Because of the distance Elba was strategically very interesting for Spanish interests. This wasn’t the best moment for the Castilians: the Netherlands could no longer be reached via the Atlantic because of the revolt of the Dutch and relations with the British were bad. The Spaniards had to rely on Naples and Genoa. The route wound its way from Barcelona to Genoa, a traditional ally of the Spanish crown, hence men and stocks passed overland via Milan and, continuing by land, reached the Franche-Comte and Flanders. It was not acceptable to the Spaniards that in the region of the Tyrrhenian, between Naples and Genoa, there was a fortress-like construction in Cosmopolis Portoferraio without an adequate counterbalance. For this reason Fort St. Giacomo was built. Alongside the fort the village we now call Porto Azzurro came to life, it is now the beautiful harbour town, and today we can admire it shimmering with a flourishing tourist trade. For two centuries the town of Portolongone thrived in an almost perfect symbiosis with the military garrison, until the usual arrival of the French, but this time in the guise of Jacobin “liberators”, in 1799. With the new century (1800), Elba was reunited under one French king. Centuries of different cultural, linguistic, political and gastronomic traditions continue to exist even today, but with the start of the 800s, sporadic and difficult relations between the different communities of Elba, began to break down. For many years the fate of this small village has been linked to the fortress built above it, first as a military garrison, then as a prison. Today the prison is still there, but the focus of the economy has moved decisively to the sea. And we’ll talk about that in another post.